Skype has officially launched group video calling for consumers and businesses, which has been in beta testing since last May. It's great news for pretty much everybody that uses Skype, other than those that were involved in the beta testing, because they will now be required to pay the same small premium as everybody else for the pleasure of using Skype's group video calling features. "Whether you're looking to bring your family together on a video call or better connect with work colleagues across the globe, group video calling makes it easy to bring to together groups of three or more on a single video call," reads Skype's release. "Video calling accounted for approximately 41.5 per cent of all Skype-to-Skype minutes in the second half of 2010." A day pass will cost £2.99 or a monthly subscription will come in at £4.99 per month under the new pricing structure. 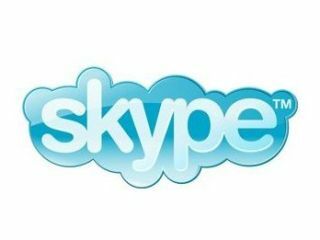 Skype's new group video calling for consumers will no doubt be a Godsend to those families with members scattered across the globe. A Skype UK rep informed TechRadar today that only one member of the family is required to actually pay for the service in order to host group video calls.